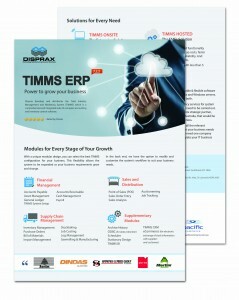 select the best TIMMS configuration for your business. This flexibility allows the system to be expanded as your business requirements grow and change. A completely transformed, individualized CRM user experience that is immersive, engaging, and intuitive. 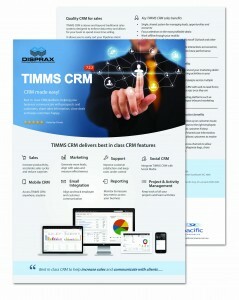 TIMMS CRM fuses the straightforward simplicity, mobility, and social aspects of a consumer app with the business process optimization of conventional CRM. 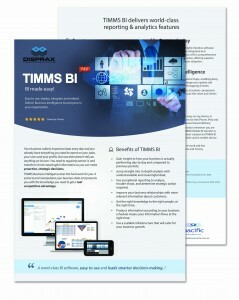 TIMMS is a powerful ERP Software with a unique modular design, allowing you to select the applications best suited to your business requirements. Data analysis and business intelligence is an urgent requirement in today’s market. A proper BI tool is required for many growth companies. 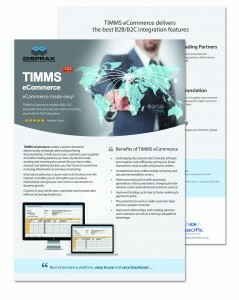 TIMMS eCommerce creates a secure channel to electronically exchange sales and purchasing documentation. It links you to your customers, your suppliers and other trading partners you have. By electronically sending and receiving documents like purchase orders, invoices and delivery dockets, you don’t have to waste time re-keying information or printing and posting. eCommerce gives you a secure way to do business over the internet. It enables you to strengthen your business relationships and give you more time to concentrate on business growth. Connect to your online store, automate and increase sales without increasing headcount. user interface and powerful embedded analytics, to help companies succeed in today’s highly dynamic markets. 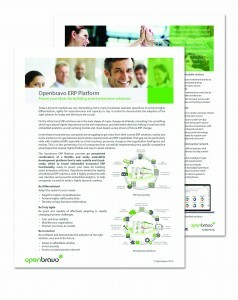 that is web, mobile and cloud-ready with broad horizontal ERP functionality embedded. 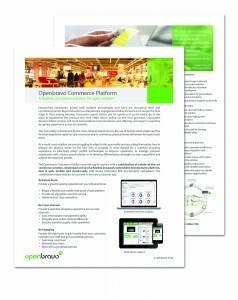 This combination helps retailers to succeed in the new consumer age.